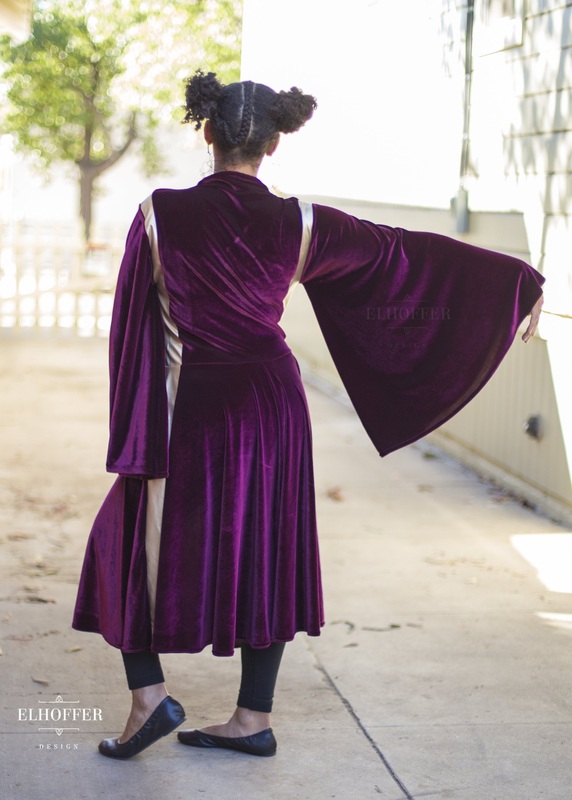 Behold the gorgeousness that is the amazing Queen Amidala inspired tunic by Elhoffer Design! 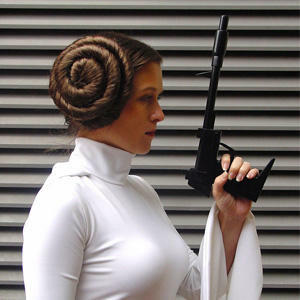 Inspired by Queen Amidala’s battle outfit from The Phantom Menace, this ‘everyday cosplay’ inspired design is made from stretch velvet with gold stretch vinyl accent stripes. 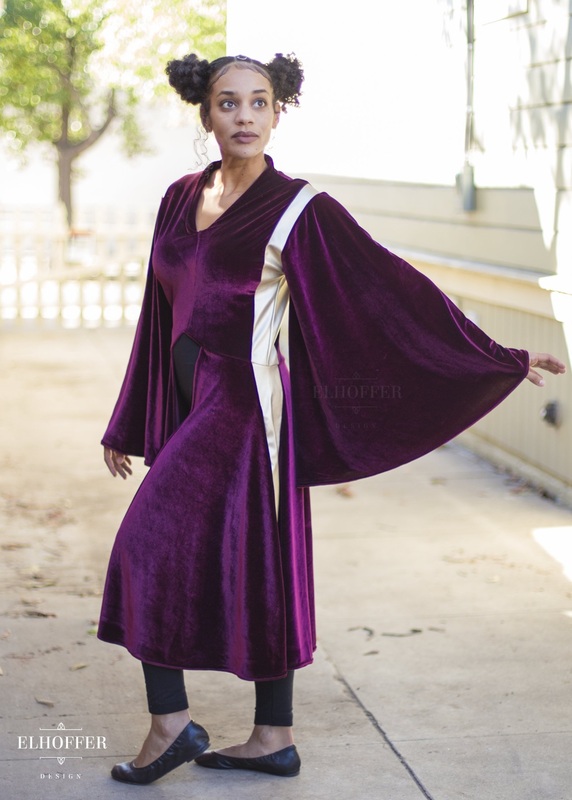 The pullover tunic top has a flared open skirt, and wide draped sleeves – perfect for adding some Naboo style to your wardrobe. 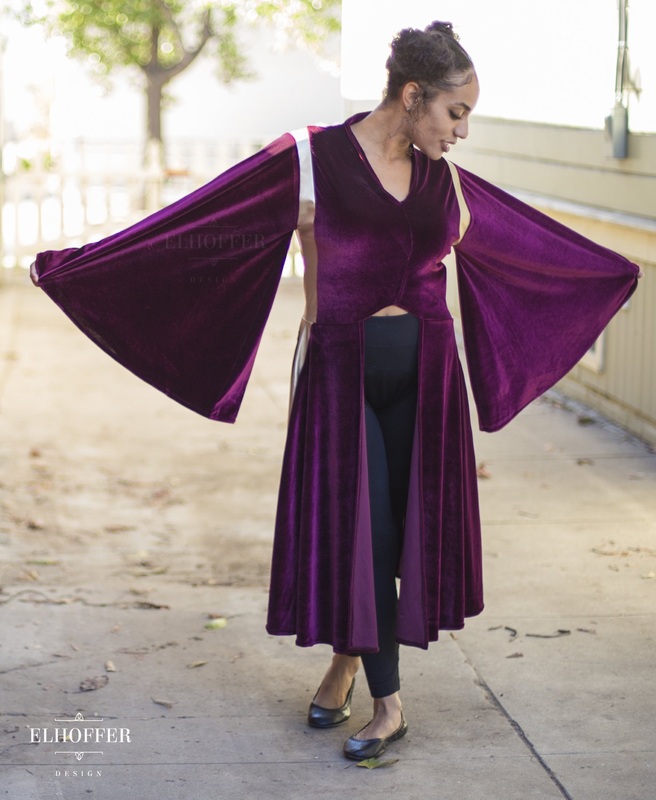 Available in sizes XS to 3XL, the tunic is priced at US$295.00 each – but order now and grab this at a fantastic discounted ‘pre-order’ price! Elhoffer Design can ship internationally, which is great!